The International business environment includes various factors like social, political, regulatory, cultural, legal and technological factors that surround a business entity in various sovereign nations. There are exogenous factors relative to the home environment of the organization in the international environment. These factors influence the decision-making process on the use of resources and capabilities. They also make a nation either more or less attractive to an international business firm. We will take up the most important factors and see how they affect the operational process of a business. Firms do not have any control over the external business environment. Therefore, the success of an international company depends upon its ability to adapt to the overall environment. Its success also depends on the ability to adjust and manage the company’s internal variables to leverage on the opportunities of the external environment. Moreover, the company’s capability to control various threats produced by the same environment, also determines its success. A term called ‘country attractiveness’ is often discussed in the international business fraternity. It is important to consider attractiveness before we move on to discuss environmental factors. Country attractiveness is a measure of a country’s attractiveness to the international investors. In international business, investment in foreign countries is the most important aspect and hence firms want to determine how suitable a country is in terms of its external business environments. International business firms judge the risks and profitability of doing business in a particular country before investing and starting a business there. This judgment includes studying the environmental factors to arrive at a decision. It is pretty clear that businesses prefer a country that is less costly, more profitable, and has fewer risks. Cost considerations are related with investment. Profitability is dependent on resources. Risks are associated with the environment and hence it is of prime concern. Risks may be of various types. However, the general consensus is that a country that is more stable in terms of political, social, legal, and economic conditions is more attractive for starting a business. There are numerous types of business environments, however the political, the cultural, and the economic environments are the prime ones. These factors influence the decision-making process of an international business firm. It is important to note that the types of environments we discuss here are interlinked; meaning one’s state affects the others in varying dimensions. The political environment of a nation affects the legal aspects and government rules which a foreign firm has to experience and follow while doing business in that nation. There are definite legal rules and governance terms in every country in the world. A foreign company that operates within a particular country has to abide by the country’s laws for the duration it operates there. Political decisions regarding economy can affect economic environment. Political decisions may affect the socio-cultural environment of a nation. Politicians may affect the rate of emergence of new technologies. Politicians can exert influence in the acceptance of emerging technologies. Impact on Economy − The political conditions of a nation have a bearing on its economic status. For example, Democratic and Republican policies in the US are different and it influences various norms, such as taxes and government spending. Changes in Regulation − Governments often alter their decisions related to business control. For example, accounting scandals in the beginning of the 21st century prompted the US SEC turn more mindful on the issues of corporate compliance. Sarbanes-Oxley compliance regulations (2002) were social reactions. The social environment demanded the public companies to be more responsible. Political Stability − Political stability effects business operations of international companies. An aggressive takeover overthrowing the government could lead to a disordered environment, disrupting business operations. For example, Sri Lanka’s civil war and Egypt and Syria disturbances were overwhelming for businesses operating there. Mitigation of Risk − There are political risk insurance policies that can mitigate risk. Companies with international operations leverage such insurances to reduce their risk exposure. Note − You can check The Index of Economic Freedom. It ranks and compares the countries depending on how politics impacts business-decisions in those locations. Economic factors exert a huge impact on international business firms. The economic environment includes the factors that influence a country's attractiveness for international business firms. Business firms seek predictable, risk-free, and stable mechanisms. Monetary systems that acknowledge the relative dependence of countries and their economies are good for a firm. If an economy fosters growth, stability, and fairness for prosperity, it has a positive effect on the growth of companies. Inflation contributes hugely to a country's attractiveness. High rate of inflation increases the cost of borrowing and makes the revenue contract in domestic currency. It exposes the international firms to foreign-exchange risks. Absolute purchasing power parity is also an important consideration. The ratio of exchange rate between two particular countries is identical to the ratio of the price levels. The law of one price states that the real price of a product is same across all nations. Relative purchasing power parity (PPP) is valuable for foreign firms. It asks how much money is needed to buy the same goods and services in two particular countries. PPP rates prompt international comparisons of income. Cultural environments include educational, religious, family, and social systems within the marketing system. 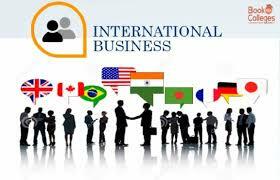 Knowledge of foreign culture is important for international firms. Marketers who ignore cultural differences risk failure. Language − There are nearly 3,000 languages in the world. Language differences are important in designing advertising campaigns and product labels. If a country has several languages, it may be problematic. Colors − It is important to know how people associate with colors. For example, purple is unacceptable in Hispanic nations because it is associated with death. Customs and Taboos − It is important for marketers to know the customs and taboos to learn what is acceptable and what is not for the marketing programs. Values − Values stem from moral or religious beliefs and are acquired through experiences. For example, in India, the Hindus don’t consume beef, and fast-food restaurants such as McDonald's and Burger King need to modify the offerings. Aesthetics − There are differences in aesthetics in different cultures. Americans like suntans, the Japanese do not. Time − Punctuality and deadlines are routine business practices in the U.S. However, Middle East and Latin American people are far less bound by time constraints. Religious Beliefs − Religion can affect a product’s labelling, designs, and items purchased. It also affects the consumers' values. Ireland’s evening meal is called tea, not dinner. If you nod in Bulgaria, it means "no" and moving the head from one side to the other means "yes". Pepsodent toothpaste did not sell well in Southeast Asia, as it promised white teeth. Black or yellow teeth are symbols of prestige there.